Learn the Smith & Nephew Journey Unicompartmental Knee replacement (Fixed Bearing ) surgical technique with step by step instructions on OrthOracle. Our e-learning platform contains high resolution images and a certified CME of the Smith & Nephew Journey Unicompartmental Knee replacement (Fixed Bearing ) surgical procedure. This technique details the use of a Smith & Nephew Journey unicompartmental knee replacement (UKR) for a 63 year old man with knee pain secondary to medial femoral condyle avascular necrosis. History, examination and investigations were consistent with localised medial knee pain and a failure of conservative treatment. With sparing of the patellofemoral and lateral compartments the decision was to proceed to UKR. It was established prior to surgery that the patient’s cruciate ligaments were intact and functional. 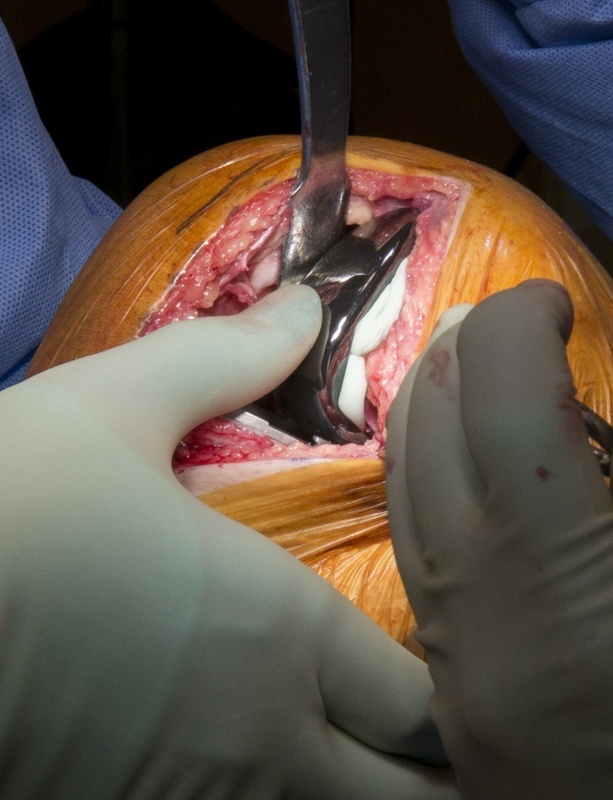 Pre-operative counselling and consent included a potential change to total knee replacement on table if on further inspection of the joint on arthrotomy more widespread disease was present. There is however strong evidence that some patellofemoral wear, especially affecting the medial facet of the patella, does not adversely affect the outcome of medial unicompartmental knee replacement. The Smith & Nephew Journey is a fixed bearing unicompartmental knee replacement manufactured with advanced bearing materials. Fixed bearing designs have seen increasing popularity in recent years according to the National Joint Registry (UK). This Journey design benefits also from simplified instrumentation which can aid the technique in what is a less frequently performed procedure than total knee replacement. Institution: The Worcestershire Acute Hospitals NHS Trust, Worcester ,UK.